One of three legendary brothers who hurled for the club, Cratloe's famous Pa Quain played for Clare with distinction from 1943 to 1949. 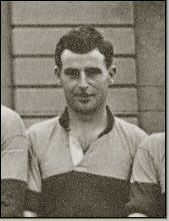 In 1946 he won a National Hurling League medal with the county when they defeated Dublin. Quain hurled Railway Cup for Munster for four years on the trot, in 1944, 45, 46, and 47 winning the competition three times in the process.